(Worthy News) - 72 Nigerian Christians, who had converted from Muslim backgrounds, were recently saved in a series of miraculous circumstances involving angels, snakes, and one apparition by Jesus after being kidnapped by Boko Haram. 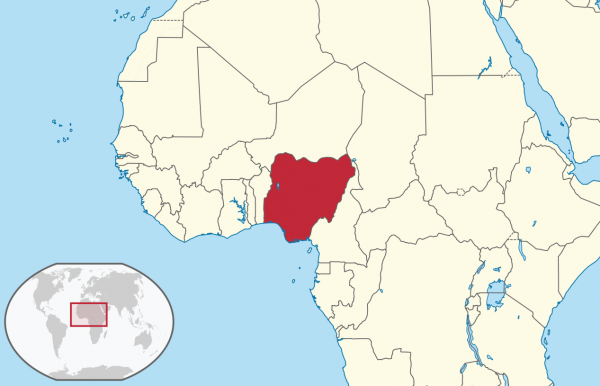 All 72 Nigerian believers were rescued without a single human hand being raised in their defense, in a country where 300 Christians have been killed by Islamic militant groups in February and March of this year alone. “We can’t allow that to happen,” were President Trump’s words last year to Nigerian President Muhammadu Buhari with reference to the spate of Christians killed in his country by Islamic extremists. While International Christian Concern’s 2018 special report ranked Nigeria as having the highest death toll for Christians in the world, with estimates ranging from 50,000 to 70,000 people martyred for their faith in the last two decades alone, Open Doors USA speculated that 3,731 of last year’s 4,136 Christian martyrdoms occurred solely within Nigeria. Nigerian Christians face a dual-pronged threat from Boko Haram and Fulani Herdsmen militias, the one intent on creating an Islamic State in West Africa through forced Christian conversions, the other seeking to appropriate the lands of Christian farmers under the justification of Islamic law. It's happening everyday in my country Nigeria. The big pastors are not showing enough concern, and the media is not covering much of what is happening, they rather color it as 'herders vs farmers' fight. Please keep up the good work of publicizing this to the world while you pray for us. We feel forsaken by the world. My daughter’s middle name is Kay; it’s a very special name. I am so sorry that you all feel forsaken by the world. Until I saw this article posted on fb, I didn’t even know martyrdom took place in Nigeria. But now that I know, I promise to pray for you by name, and to pray for your family and friends. I will pray in agreement with you for your protection, deliverance, and courage. I will pray in agreement for provion, healing, and joy to overcome you and your loved ones. And for those that you know and love that have already been martyred and are standing at the throne of God, asking how much longer until their blood is avenged, I pray that their reward is above all those that haven’t given their lives, myself included. I pray that they must only wait for a moment more, that Jesus has already given them their fine white garments, and that He is standing in the doorway lifting His leg to come and destroy their enemies. An American Christian that should have known of you long ago. Dearest Kay, the world may forsake us but God will never forsake us. Our help comes from God, even when the arm of flesh fails as the word says, His mighty right arm saves. As in this article, God sent Angel's. You are not alone. “Jesus can you help me to be brave when they come? The bad men are chasing us and making us to run..
She didn’t even notice that Jesus was standing there.. I was very poor and small how could I do this thing? Praying for you Ikenna and Kay, and for Nigeria. Most Christians don’t know this is happening.Thank God He will reward martyrs , and He never forgets His children.I will pray for you all. What a marvelous story. Thanks for sharing. Thank the Great God Creator of all of us/ not to mention all of the universe!!! Where can we find more information on these children whom Jesus appeared and mothers? How powerful to have their testimonies of where God is using them now? "where sin abounds, grace that much more." Praise the Lord for his intervention! Lord, continue to help and deliver your people with a great deliverance, and give Christians everywhere the grace to stand up to wickedness. For your name’s sake! I do believe Goad has had enough! Thank you for sending help. That’s the God we serve. He answers by fire. We praise you and worship you, our God , the Almighty one. Stand for your children. Let all the universe know that you are real and alive. Thank you 🙏 for showing up. On our knees we continue to pray and to honor you . We forget there is an unseen war going on all around us - Jesus and his angel warriors against Satan and his demons of darkness. We forget what the children accept and understand in their innocence. God Bless the children. We are praying for you precious brothers and sisters in Nigeria! Our great God Jehovah, through the power of our Lord Jesus Christ, continue to protect you and stand strong against your enemies, until they are all defeated and under your feet...in Jesus name so be it. Gods holy angels are ministering spirits, sent forth to minister for you, who are the heirs of salvation! Thanks be unto God for His great and mighty work! The Angels encamp.around those that fear him. Time of judgement is in hand , serious event by unknown spirit leads believers in right path if patience and glorious time with him . Glory to God in the name of his son . Why wasn't this experience shared with mainstream media in Nigeria. It will do Christianity some good if this incident is widely reported by mainstream media. Our God is great and is awesome God He will contineue fighting for His people and protecting His people. That is awesome that Yaweh allowed the kids to see the angels doing the fighting and victory in this short battle. That memory will last a lifetime in their minds. Yes it will, and they will hold fast to it! David, you don’t understand. This world has a short time left before Jesus, the Christ, the Son of God Almighty, maker of Heaven and Earth, who Christianity is named for, returns to collect His people who are His children that He created, and take them all home. A Christian knows in their heart that no matter what may happen to them here on earth, as long as they have Jesus in their heart, they are going to be with Him, alive in Heaven, because they have accepted Him as their Savior. They know that He suffered in His short life on earth and that He died a horribly painful death Himself, all because of the sins of all the people in the world and because His Father God had the love and the desire to rescue us from the punishment for it. Christians know that Jesus came to life again in order for all those who believe in the miracle of His birth, His life, His death and His Ressurection and who have that knowledge of Him and who He is engraved into their heart, to be able to be with Him, not seperated for eternity. Those who have received knowledge of Him, but refuse to accept it and be one of His children, are the real ones in danger, not these who have accepted Him. Danger for their eternal souls, which is much worse than anything that could ever happen to you here on earth, so much worse than losing your life. I would encourage you, David, and all who have not accepted Jesus to be their Savior, to seek the knowledge of Jesus for your own heart and soul. Study a Bible. But be sure and ask each time you study that the Holy Spirit, the one Jesus sent to us in His place, when He rose back into Heaven, give you the understanding of what you read. Otherwise it is only words. Very good words with wonderful meaning. But He will reveal all the messages to you that God put into those words for you. Messages those who do not know Him will not be able to understand. NOT knowing Jesus will not save you or these people, David, it’s knowing Him that WILL save them and you. This is real Good News for a change! This was prophesied that in the last days God would pour out His Spirit upon the children who would see visions. Praise God for the protection on our brethren. Praying for our missionaries who've had to flee Burkina Faso. God will avenge. Lord help us to stand for Christ in our secular world where our families and nation need to hear and see You are at work. Revive us again Lord. I praise God every day that He is constantly saving His people from harm and danger. Thank you Jesus, Lord of Lords, King of Kings, Lion of Juda. We love You Lord and we want more and more faith. More and more trusting You in every situation. Keep up the good spirits in Nigeria.Love from Holland! Early this month I was at a village in one the states terrorized by the "fulanis", a farmer told me he was on his farmer harvesting Cowpea and they put their cattle in the field, when he tried to stop them,they asked him to choose between his life and the cowpea and that's how he lost everything. His people. Nigeria belongs to God, not to Islam and jihad. May all the government in Nigeria start to fear the Lord and care for its people. I am a Nigerian from the South. It's really sad the killings in Northern states including Benue, Plateau, Kaduna, Plateau and others in the North where Christians are a substantial number. The goal is to first eliminate all Christians in the North and have a purely Islamic North before descending on the South. People are hacked down with machettes and clubs. Those being killed are not too exposed to the media.